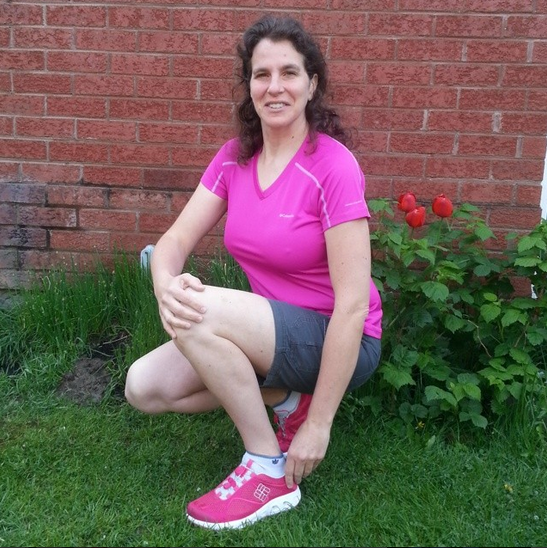 I had the opportunity to really try out Columbia Sportswear athletic clothing all four seasons long. With my family's active lifestyle, I have found that the clothing has been really durable. Below I detail my favourite items for adults and kids. There is no doubt that Columbia Sportswear is a trusted name for kids. Over the years I have found the brand to be warm and durable, and should an item fail, Columbia's warranty will repair or replace the item. 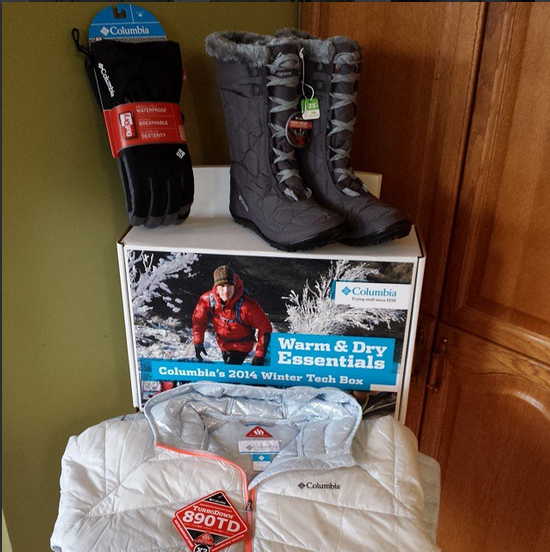 Here are the Columbia items that my kids tried out in December 2013. 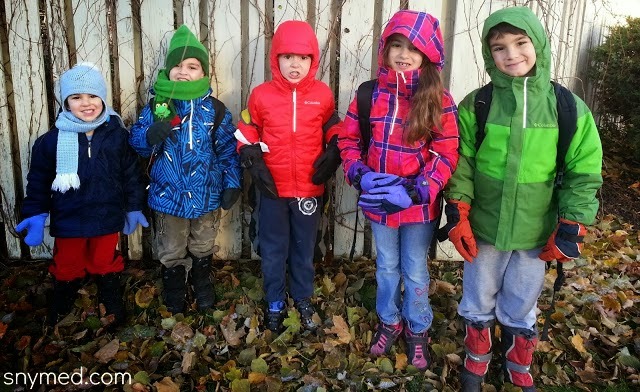 My kids really put the outerwear through the wringer, and yet most of the jackets and snow pants are holding up quite well to a second season (as of January 2015). Most of the items still look brand new. Out of the 5 winter jackets, and 5 pairs of snow pants that we reviewed, most were very well-made and quite warm for the winter (the Shimmer Me Insulated jacket would work best for the fall). After one season, I did send in the Bugaboo Interchange Jacket and Whirlinator snow pants under the Columbia warranty programme (jacket had a broken zipper, and snow pants had two ripped seams). Way to go, Columbia on having a fantastic reparation or replacement warranty! In all honesty, the Columbia gloves/mittens my kids did not find warm, and they really soaked up the water. I gave all of the kids' Columbia winter jackets 5 stars, because they are simply warm, well-made, durable and fantastic! However, a big 5 star winner is the Whirlinator snow set which my child loved. I did give it this rating, although both inner leg seams tore after one season. Columbia cheerfully replaced the snow pants under their warranty. Yay! I especially wish that the snow pants and gloves/mittens were truly water-resistant, as the kids would get wet when playing in the snow. They should also line them to make them much warmer (my kids would come in with red and raw hands). Trying out Columbia footwear, what struck me was how true-to-size the footwear has been for trail shoes, water shoes and boots. This is especially important if you do online orders. I take a half shoe size and have an average-width foot, and the sizing works very well for me. Also, I'm in love with the grips and treads on their trail and water shoes, and boots. 5 star winners in my books were the Women’s Peakfreak™ XCRSN Xcel OutDry trail shoe, and Columbia Women's Powervent Water Shoe. The trail shoe gripped the terrain so nicely, the sole felt like it was suction cupped to the land. But the water shoe was my go-to shoe all spring and summer long, and I wore it mostly out of the water. 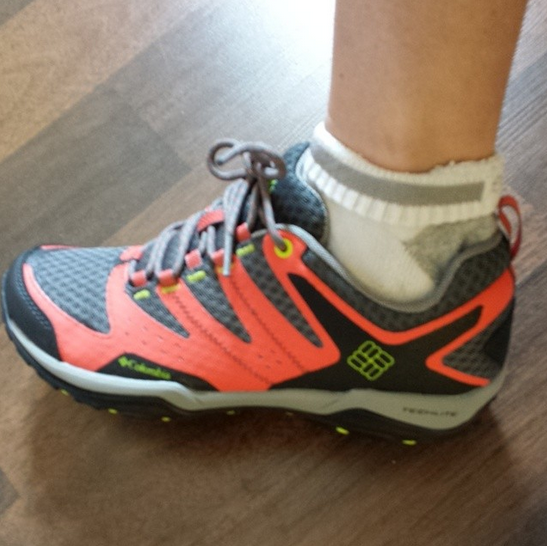 I loved the easy toggle closure, which I preferred to the lace-up Women's Drainmaker II Shoe. The shoes were super lightweight. However, I do believe that the water shoe did not succeed at its original purpose, and they never drained properly. Water stayed in my shoes always, and sloshed around. Although I enjoy the Women's Minx Mid II Omni-Heat Boot as a fall or light winter boot, I don't believe it lives up to its rating on colder days. I was disappointed that the "fur" lining didn't extend across the entire boot, and only the top one third. I did love how lightweight the boot was, and how easy it was to slip on--even after it was fully laced up (a must for my busy lifestyle). The Women's Minx Mid II Omni-Heat Boot would definitely make my fall list, or for very light winter days (-4°C/24°F and warmer). My suggestion is that Columbia keep the toggle closure on the Women's Drainmaker II Shoe, but come up with a Drainmaker III shoe that actually does effectively drain. Also, I'm Canadian here so please line the entire Women's Minx Mid II Omni-Heat Boot with fur from the top to tip toe. I have to rave about the Women's Zero Rules Short Sleeve Shirt, which I loved so much that I got in more than one colour. If you follow me on Instagram, you'll notice that I often took my runs in this lightweight shirt. It felt fantastic on, and it would be great for lots of different sports including white water rafting, hiking, jogging, table tennis, etc. I love that there was a choice of a variety of colours. 5 star rating! Don't change anything about the Women's Zero Rules Short Sleeve Shirt, which is a winner! I'd love to see additional feminine colours offered for spring 2015! I tested the Columbia 2014 Winter TechBox, and was quite pleased to receive it. But in all honesty, as a Canadian who is outside in the hard-core, brutal winter, none of the products made it to my "winter" list. They definitely would make my fall list, or for very light winter days (-4°C/24°F and warmer). The Women's Diamond 890 Turbodown Hooded Down Jacket was as lightweight as can be and cozy, and I would recommend it for a Canadian fall or light winter. I found that the sizes ran very big. I wear a Columbia size medium, and the medium was huge on me even with 2 layers underneath. Purchase one size down, or the jacket is likely to be too roomy. I chose the "Ice Grey" colour, and did not like that the dark down feathers were visible beneath the fabric, making my jacket always look dirty. Call me picky, but I did not like the colour of the zipper in either the Ice Grey colour or the other colour that was offered. I was quite pleased that they offered a hood option, as I do not purchase jackets without. My suggestion would be to market the Women's Diamond 890 Turbodown Hooded Down Jacket to Canadians for the fall, not the winter. Also, to use fabrics that will not allow the dark down feathers show through. I will love wearing this jacket in fall 2015, though! I found Columbia gloves to be beautifully tailored and they felt great on. In addition, they fit true-to-size and "fit me like a glove". However, I am sad to report that they were not warm for me whatsoever. I had to layer the gloves with two pairs of thin dollar store gloves underneath, which still did not feel warm enough. I would love for Columbia to take these beautiful gloves, and line them extra well for Canada. For the price tag, one would expect a super-warm, premium glove. 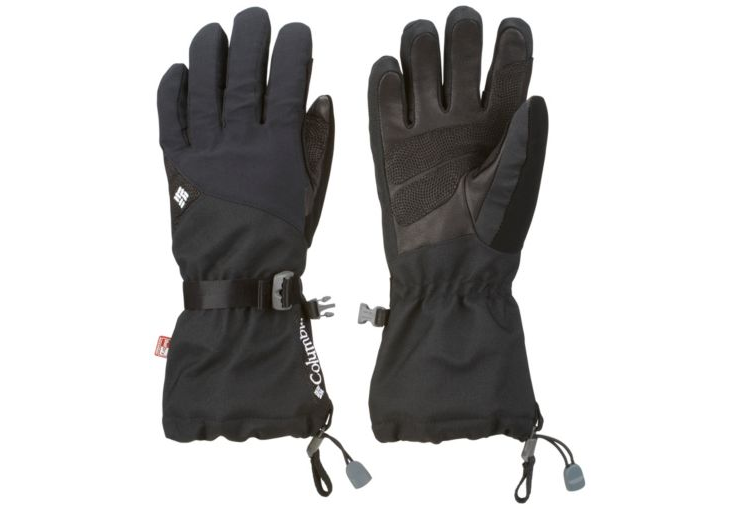 Moreover, the reflective heat system in the Women's Mountain Monster Glove only works well if your hands effectively give off a good amount of heat. Mine do not. In sum, I love Columbia Sportswear for my family and believe that their items are well-made. I will continue to purchase their fabulous items, and feel confident that they are backed by an excellent warranty! Do you own any favourite Columbia pieces? Which item(s) that I tested above, would YOU like to try out? Buy & Sell Vintage Goods Locally With UsedEverywhere.com! 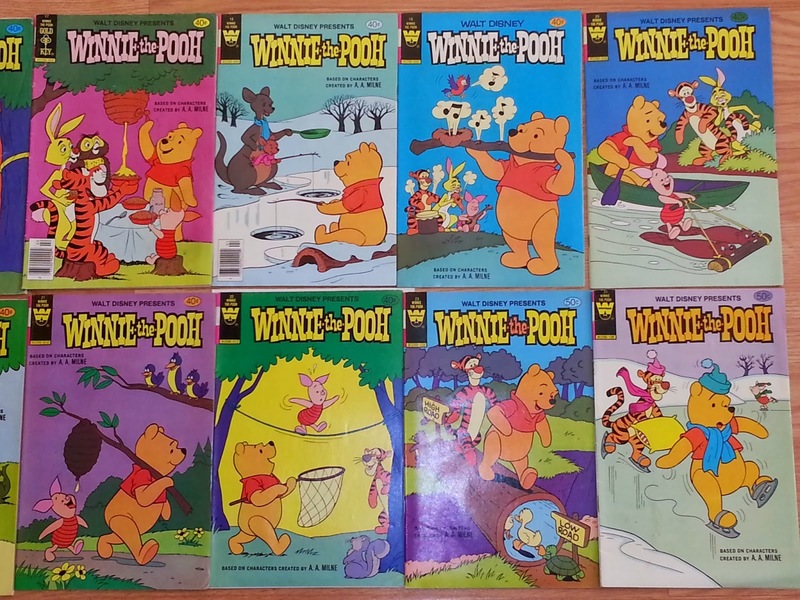 Last year I wrote about my vintage Winnie-the-Pooh comic book collection from the 1970s and 80s, which took me almost a lifetime to complete. I had collected the comics since I was about three years old, and the first books in my collection had tattered edges from repeated reading and age. I had kept my comics into adulthood, and had always wondered how many books I was missing. Years of searching auction and resale websites, made me conclude I was missing about one-third of the set. Unfortunately, three of the books were quite rare, which made my task that much harder. However, I persevered and now my collection is happily complete! I thank my lucky stars for websites that bring buyers and sellers of vintage goods together. Have you heard of UsedEverywhere.com? It's a Canadian website that connects buyers and sellers together. Want to get rid of those old Madonna or Culture Club vinyl records or cassettes? Looking to purchase vintage Arnold Schwarzenegger or Mel Gibson movies on video? Why not give your local UsedEverywhere.com a try? Watch UsedEverywhere.com's #FirstCrush VIDEO below, to get a feel for the FREE service that they offer! It's pretty cute. Follow UsedEverywhere.com on Social Media! Have you kept any collections from your childhood (ie: stamps, buttons, records, etc.)? Have you ever tried a free website such as UsedEverywhere.com to buy or sell items? For the past 2 years I've talked about my health and fitness journey, in which I've lost 80 lbs. After the holidays I veered a bit off course, but I'm doing great again. Because eating well and exercising daily is a lifestyle for me, not a fad diet, I try to implement strategies that I can sustain. And these strategies have worked well for my family and I. When I first started eating better, I had to find a way to stave off hunger by eating a clever, nutritious snack. It was important to me that I would "feel" full. At that time in my journey, I was reaching for drinkable yogurts--but the sugar levels were higher than I wanted. I now believe that almond milk, or a shake made from almond milk would have been nutritious, made me feel full, and have been a perfect snack. More about this, later. Here are 5 tips that I've employed in order to maintain my weight loss, below. Exercise daily for at least 1 hour, regardless of the exercise. Sometimes the easiest exercise for me is a daily walk or walks, but other days it could be swimming, running, or having a workout at the gym. "Fresh air" exercise invigorates me and clears my head. The exercise can be broken up in 2 x 30 minute intervals, if my schedule is a bit tight. No junk food, fast food and minimal processed food. This speaks for itself, although I allow myself a daily "purse" of 100-120 calories if I need to snack. I also don't keep "temptation" food in the household, or I have a hard time controlling myself. No overeating and always moderate food portions. This speaks for itself. Make the BEST food choices at each and every meal. In order to make the best food choices at meals, I often add a green salad or fruit to boost nutrition. It is also great for digestion. Don't participate in "food-centric" activities - I try to decline activities where eating will be the main event, such as buffets, or family get-togethers centred around the dinner table. I'll jump at the opportunity to attend events that allow my family to stay active, though. As part of a healthy lifestyle, why not try Almond Breeze almond milk beverage to add nutrition to your day? I use the unsweetened original or vanilla flavour in shakes, and mix in a serving of fruit. Unsweetened Almond Breeze only has 30 calories per cup, which is fantastic! I also find that fruit shakes made with almond milk are very filling, and help suppress my appetite so I don't feel as hungry. 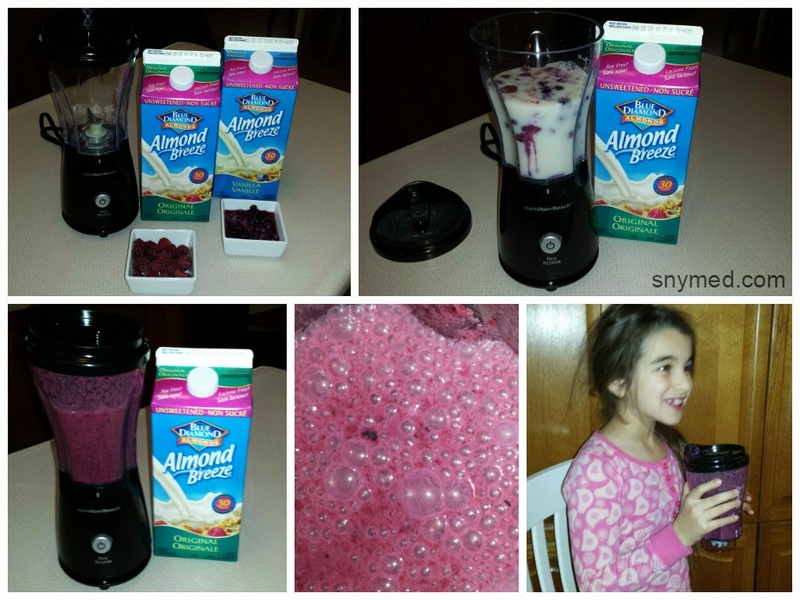 My kids also love the slightly nutty flavour, and make shakes with their own favourite fruits. I am over the moon that Almond Breeze contains vitamin A (10%), calcium (30%), vitamin D (45%), vitamin E (10%), riboflavin (25%), vitamin B12 (50%), and zinc (15% daily recommended value). It's also lactose-free, gluten-free, and dairy-free! Do you have any health, fitness or nutrition goals for 2015--or would you like to? Have you ever tried Almond Breeze beverage, or enjoyed it in a shake? Our Minecraft Hunger Games The Movie: PART 2 Video! The Kids Starring in Minecraft Hunger Games The Movie, Part 2! I previously shared the Minecraft Hunger Games, The Movie Part 1 video that the kids and I filmed over Christmas break. 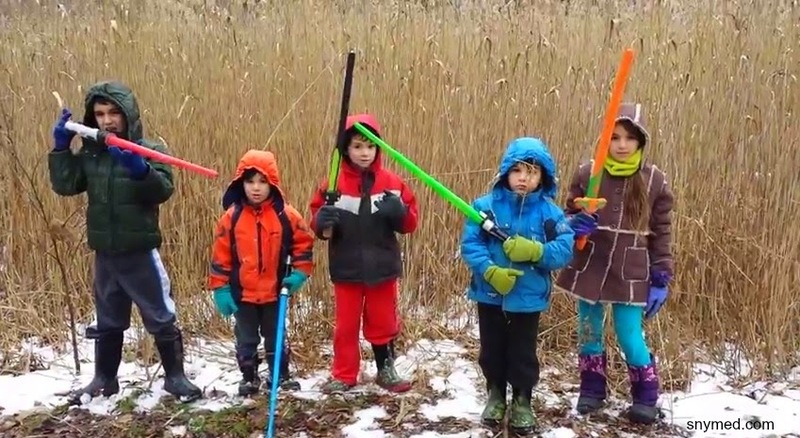 It had allowed them to dress up in costumes, have fun acting, and blow off some steam with toy swords. They also took tremendous pride in the final video. Now, here's a second video that they have created in the Canadian "wilderness" called, Minecraft Hunger Games, The Movie Part 2! Click below to watch the full-length movie VIDEO. 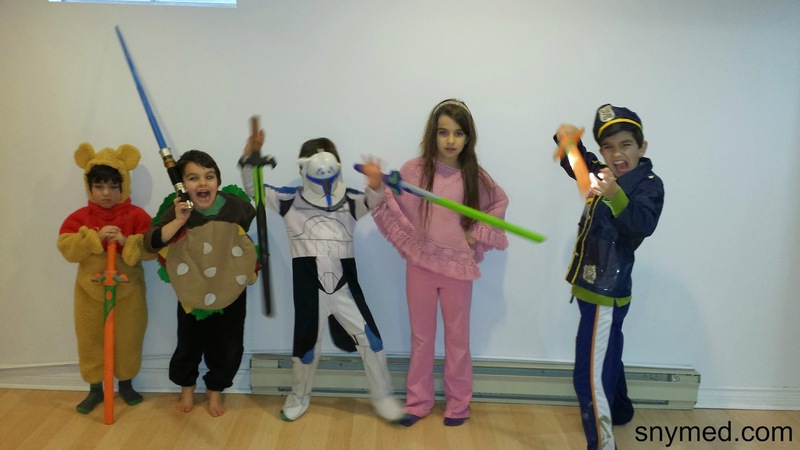 Do your kids or grandkids enjoy make-believing, dressing up, and acting? Do you enjoy looking back on old photos and videos of the kids? 2 years ago I made a New Year's resolution to my family and I to get daily exercise, and eat nutritiously and moderately too. How the time has flown by, but I wanted to provide an update to everyone wishing to do the same. Hopefully I can also provide a few words of inspiration and encouragement! 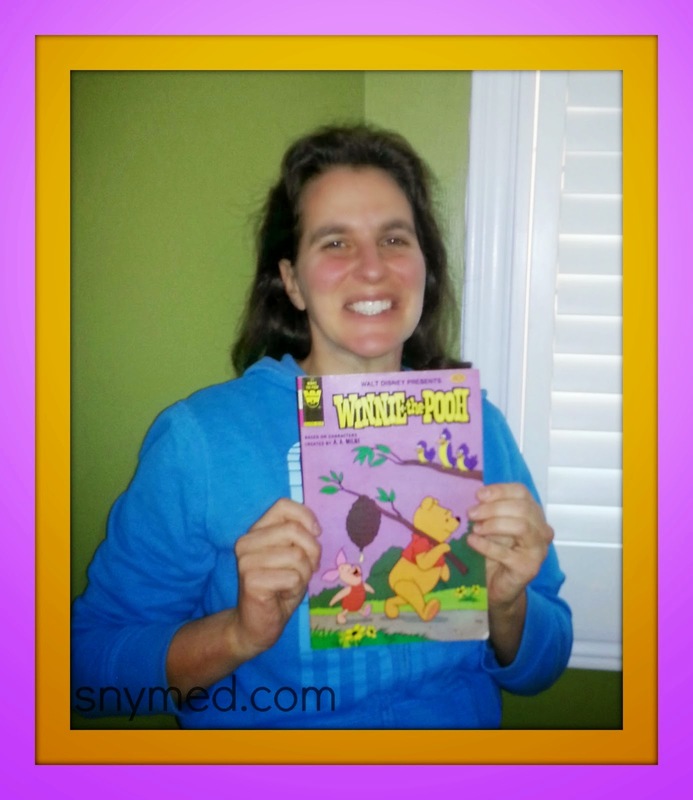 After having had 5 babies over a period of 5 years, I had not taken care of myself and let my health slide. 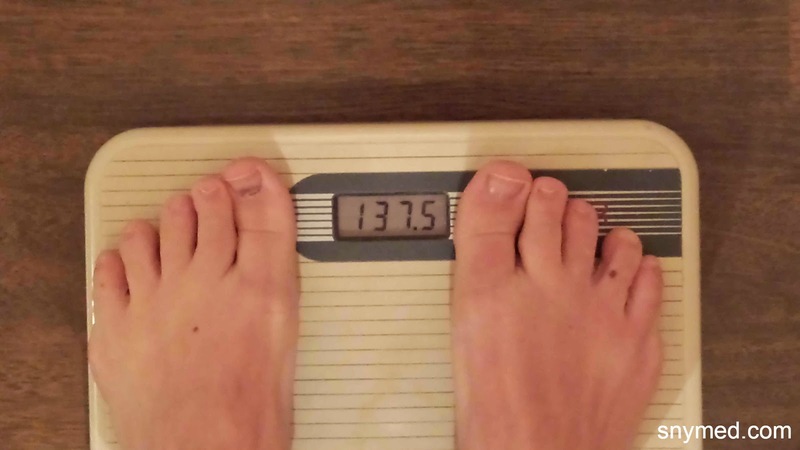 I weighed 215 lbs, wore a size 14, my knees hurt when ascending the stairs, and I was easily winded. Back then, I was sedentary and my diet consisted of fast food, junk food, unscheduled eating, and unreasonably-sized portions. I was a poor role model to my children, and they were emulating my poor habits. I had recently turned 40 years old when I realized if I did not make a lifestyle change, I would become more and more sickly and have a hard time digging myself out of a self-made hole. That is when I threw out all junk food in my kitchen, did a "healthy" shopping, and began exercising for 1 hour daily with my 5 young children--summer or winter did not matter. 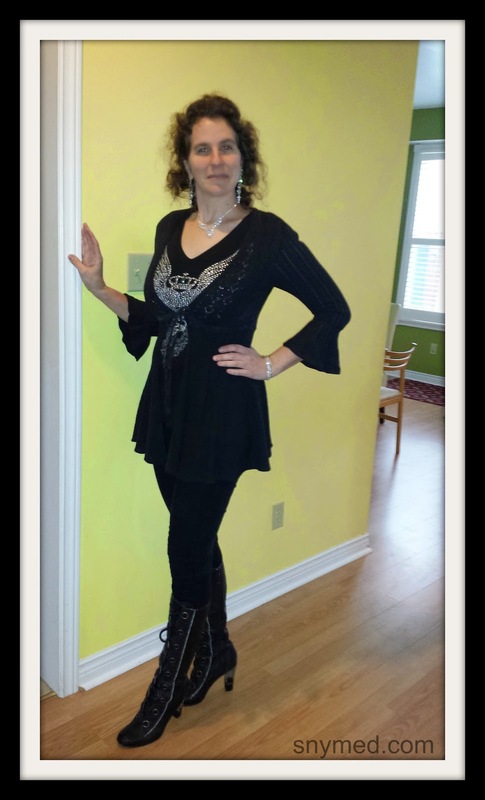 After hard work, determination and will-power, I lost 80 lbs and rested at a size 6 clothing. I did not follow any diet or exercise plan; I just used common sense and did it together with my husband and kids. I'm proud to say that I have held onto my convictions for 2 years now. In order to keep up with my healthy lifestyle, I have tried to take each day at a time and have made the best choices at each and every meal. Problem #1 would have been averted, had I insisted on keeping the sweets out of the house as usual. Once I know that the sweets are in the house, I have a problem with impulse control. If sweets are out of the house, I will not actively seek them out. Problem #2 will no longer be an issue, as the kids are back in school--and I can now return to my previous exercise schedule. It may be hard to keep up with my exercise routine as the temperature continues to drop in Toronto, but this is now my third year of intense winter exercise. I WILL PREVAIL. The consequence of my actions, is I have gained back 10 lbs--although I'm happily back on track now. I know I will feel better about this bump in the road over the next few weeks, as my pants start fitting me better again...tee hee. One the note of pants, I got a great tip from a former The Biggest Loser winner on maintaining long-term weight loss! She said that rather than stepping on the scale, she would put on her "skinny" jeans once per week to see how they fit. If they were getting tight on her, she knew to exercise more and eat better. And that's exactly what I'm doing! I know I've said this months ago, but I need to find a gym or exercise classes in my area. We are still members of the YMCA, but we moved houses and that location is just too far to visit regularly. I really enjoyed using the exercise equipment, going for a swim, or attending an exercise class to round out my routine. Are you also on a journey to improve your health, fitness or nutrition? What are your health goals for 2015?